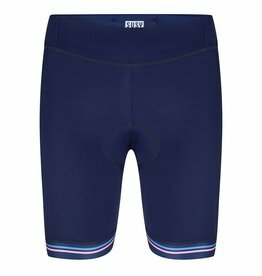 These trendy ladies bike shorts have a 7/8 length and are ideal to wear spring or fall. When you are around 1.60 m long, the pants will fall like a long cycling shorts. The lines consist of a contrast design that follows the female body. 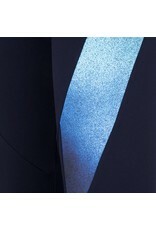 The contrast design consists of aqua and blue. The ladies spinning tights are very dark blue themselves. The cut of the ladies spinning pants consists of a high waistband. 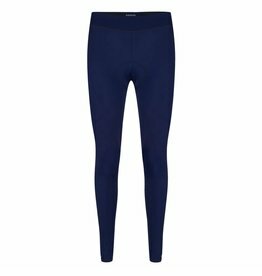 The trendy ladies spinning tights are extremely comfortable because the fabric contains 38% elastane. 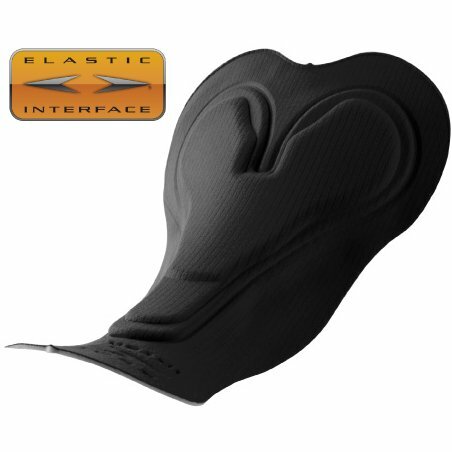 -The right muscle compression during spinning, cycling or mountain biking. 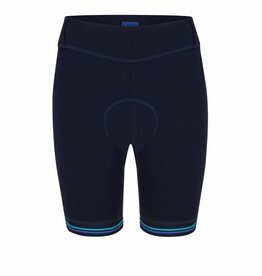 -High compactness of the fabric so that the ladies cycling shorts never shine through. The ladies pad has been tested and approved by Susy herself because of the high comfort. -A smooth finish to prevent irritation. -Various 3D thicknesses to give good support to the sit bones while cycling. 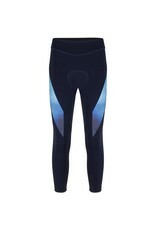 -The perforated foam provides the right breathability. Each ladies spinning tights with 7/8 length has a small pocket at the back. Here you can easily put in a key or change. All stitching is finished with soft yarns. 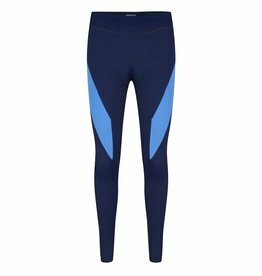 This makes the trendy ladies spinning tights very comfortable and nice. 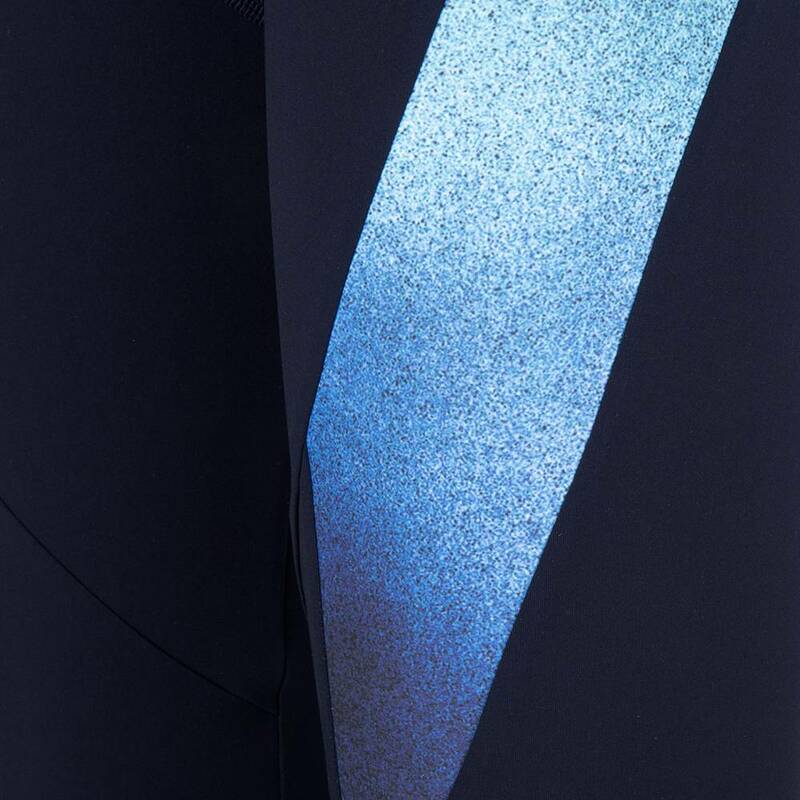 The blue Susy logos are reflective. The material comes from Italy. The manufacture of the 7/8 spinning tights ladies takes place in Poland. 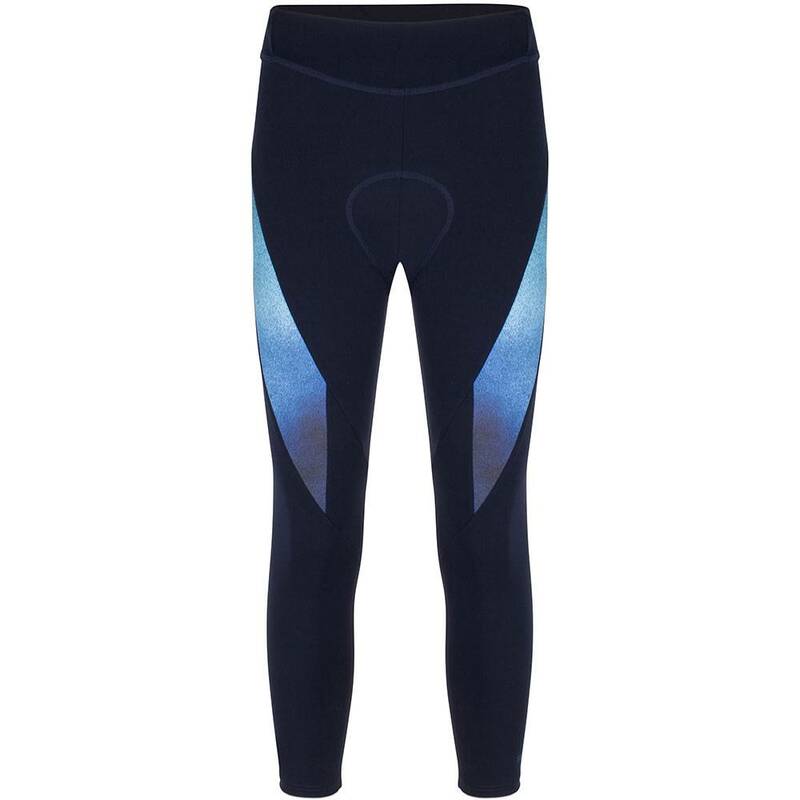 Ben blij dat ik Susy cyclewear heb ontdekt. De kleding zit uitstekend en voelt heerlijk aan. Dus aan mij heb je een fan. En zo fijn dat ieder stuk met een ander gecombineerd kan worden. Ik kan nu even vooruit! 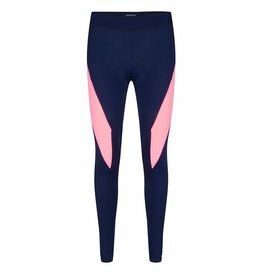 On trend women's Susy long spinning legging with an amazing female fit!